When I'm driving any distance, I can never find the sweet spot to put my left arm, right side is fine the center console lid is there. 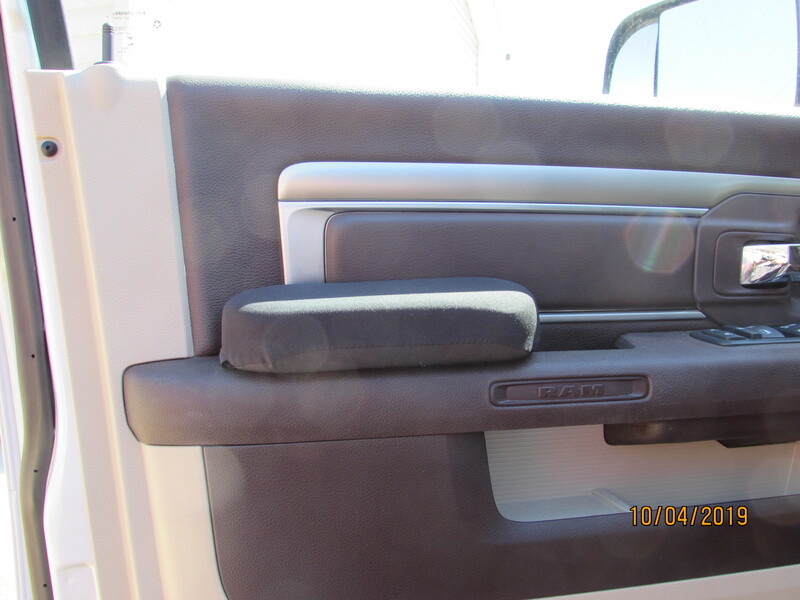 The driver side armrest is too low for me and end up with my forearm along the upper edge of the door panel, ends up putting a crink in my shoulder and neck. So, finally went and ordered the elbow bolsters from Geno's Garage a couple months ago and finally when it warmed up the other day, installed one. Oh boy, finally have the comfort for the left side, no more cranky shoulder and neck. They are a gel pad, no hard spots, easy to install with velcro and super sticky fit 2 way adhesive. Should have done this a long time ago. Is that the standard or jumbo size? Edit: Nevermind I can see it's the standard size. Yes, I went with the standard 8 1/2" ones, didn't want to cover up too much of the grab recess. HUGE SALE ~ ReadyLift Suspension 09-17 Dodge Ram 1500 Tubular Upper Control Arm Kit!